Surprise Rental is a family owned and operated rental business specializing in homeowner, contractor, and party equipment. 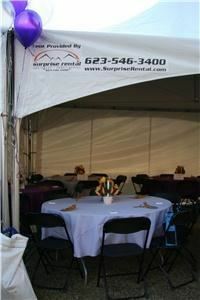 Opened in October of 2003, Surprise Rental has been serving the northwest valley for 6 years. With a dedication to helping customers find the right tools for their projects and the right accessories for their parties and events, Surprise Rental is always adding new equipment to their inventory.